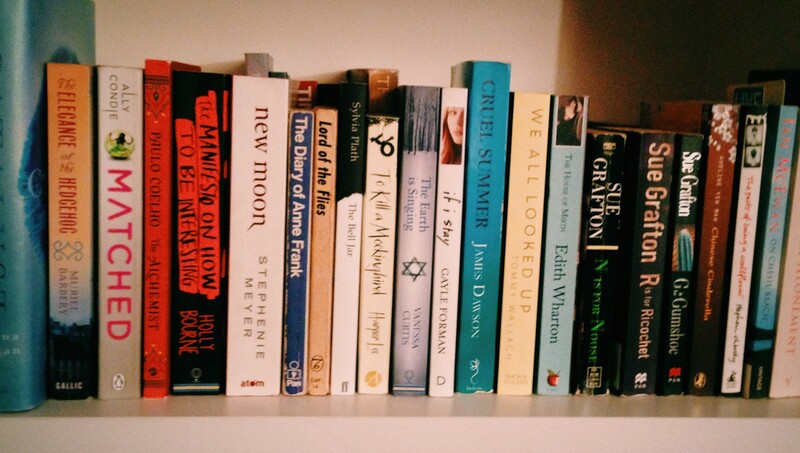 ‘What to read?’ I ponder, searching my ‘unread’ bookshelf. Perhaps that book I’ve been meaning to read for a while (it’s been on this shelf longer than I’d like to admit). Or maybe that one that everyone’s talking about – I feel like the only person who hasn’t read it. What a dilemma! In these instances, I seek advice from a fellow book-lover. I listed to him the books I had on my ‘to-read’ shelf, before casually mentioning my forthcoming trip (to Brittany, in France). At that, he definitively exclaimed that I should dive into All the Light We Cannot See, much of which is set in Saint-Malo, Brittany – one of the places I was going to visit. Well, to give him credit, it was perhaps the best recommendation he had ever given me. I started reading the book a little before the trip, so by the time I visited the town, I felt like I had already lived there, walking the streets with Marie-Laure (one of the two protagonists). It was an almost magical book experience. So, what’s it about? you wonder. That is, if you haven’t already heard about it – it won the Pulitzer Prize for Fiction in 2015. The novel wasn’t expected to be such a hit; the writer himself has said he thought only a small audience would enjoy it because of its sometimes lengthy descriptions of radio technology and trigonometric calculations. But nonetheless, people loved it. Perhaps this is due to its innocent, endearing protagonists: Marie-Laure, a blind girl who lives in Paris with her father, a museum locksmith. The other is Werner, a German orphan who lives in a coal mining village. Although set in the Second World War, this story isn’t really about concentration camps or inhumane Nazi prisons (although these are featured); it mainly focuses on the average French experience in occupied France, and the malevolent influence and power of the Hitler Youth. By giving a voice to both sides, Doerr doesn’t present a narrow, overly biased view of the war, but merely lets you come to your own conclusion about the war – and the ordinary people stuck in the middle. Despite their contrasting upbringings and environments, Marie-Laure and Werner are surprisingly alike: they’re both ‘innocent’, although Werner sees (excuse the pun) more of the war than his counterpart. They’re also passionate about their interests. From a young age, Werner has been infatuated with inventing and science, especially radios; Marie-Laure has had a great love for molluscs ever since she went to live in Saint-Malo with her great-uncle, hearing about them in stories and feeling them on the beach for the first time. All the Light is simply enjoyable to read; never once did I feel like I had to work at it to keep interested, or push myself to read further. It’s got a compelling, credible storyline with sweet, lovable characters who contrast with a few vile ones; it’s beautifully written (I say that a lot but it’s true), with a vivid description – more like immersion – of the bombing in Saint-Malo. Not only is it a physical experience, but an emotional one, especially for Marie-Laure, blind and alone, and Werner, who is trapped in the basement of a building. Not once does Doerr give way to monotonous, predictable thriller/action description. The structure, although at times disorienting, helps move the plot along and keep ‘grip’: weirdly similar to the last book I read, its chapters alternate between different time settings, gradually coming closer and closer, closing the gap until ‘one setting’ at the conclusion. This switching juxtaposes life at different points in the war and how the characters have changed. Additional narrators add layers/perspectives to the plot and the reader’s overall outlook on the war, increasing the tension caused by dramatic irony (because the reader can ‘see all’, they can understand and appreciate the links among the characters and the ways their lives will intertwine). Something struck me when Werner and the other boys (at the boarding school) chase the weakest boy in the group. I was reminded of Orwell’s 1984, specifically the Two Minutes’ Hate, when Winston is surrounded by people inexplicably, furiously shouting at a picture on a screen, and he can’t help but join in. Werner is the same – he doesn’t really want to hurt the boy, but because everyone else is chasing him, he feels he must, and longs to fit in and be part of something far bigger than himself. On a larger scale, this is what happened with a lot of people, both in Nazi Germany and occupied France; they simply didn’t want to (or couldn’t) fight back. Don’t get me wrong, I’m not excusing their passivity, ignorance or indolence, but it’s important to try to understand what life was like under such an oppressive, omnipotent regime. Sometimes it’s easy to forget that people had ordinary lives and just wanted to get on with them. I guess it’s just something to think about, and it’s great that this book brings it up in a non-oppressive or explicitly judgmental way. Conversely, Marie-Laure is never ‘tainted’ by influence of war, staying true to her beliefs; this is why she’s such a lovable character, because she’s everything that people (or at least I) aspire to be like: honest, caring, passionate and intelligent. But perhaps this is only because being blind has meant she’s never had much of a ‘social life’; in a way she’s unrealistic, or at least not ‘normal’. Overall, I loved this book – so much so that this is one of the longest reviews I’ve ever written! I can’t really find much to criticise, but I will say that it’s a pretty long book (although not slow-paced), and as I mentioned before, it contains some lengthy scientific descriptions – although at least for me, they were quite interesting. If you usually like historical fiction, then you’ll love this – although even if you don’t, you’ll probably still enjoy it.